As this weekend has demonstrated, summer is just around the corner and that means new fabulous clothing items to fawn over. My current obsession is cold shoulder maxi dresses and floaty shift dresses. My sense of style could probably be split into 3 catageories: pastel goth, classic 60's & hippie boho. I am definitely feeling the boho look for this summer; loose floaty clothing perfect for holidays and festivals. 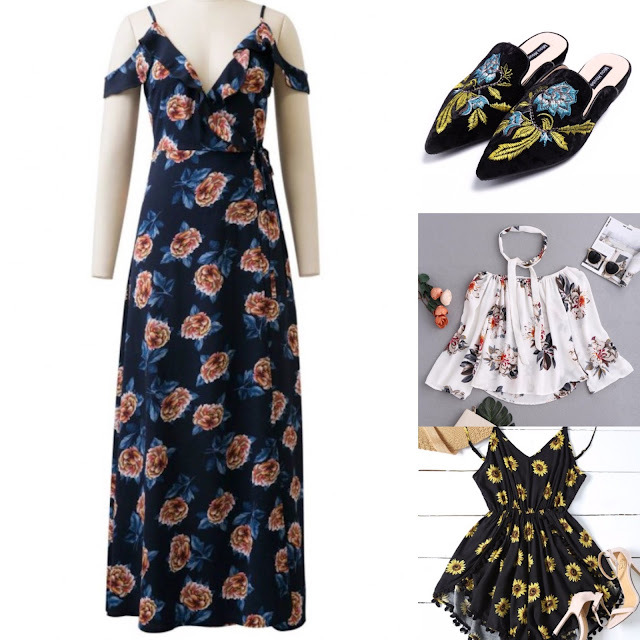 Zaful is a website offering fabulous summer clothing at bargain prices. The brand specialises in daring, exciting and edgy fashion, inspired by up and coming designers to create unique and individual items to appeal to all. I've compiled a wish list of all the items that I've got my eye on that would be perfect to help me create my dream boho summer look. 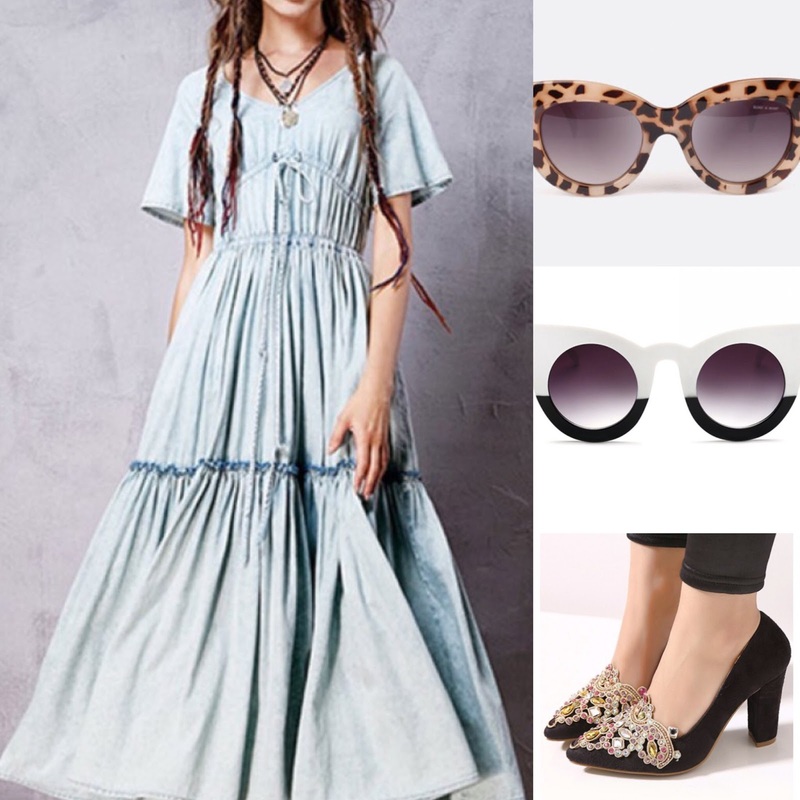 This denim maxi dress is such a statement piece that I could 100% see being worn with a pair of wellies whilst traipsing around the fields of Glastonbury with a cider in hand. Oh how I wish that could be me this year. I am obsessed with all things embroidered at the moment, aren't these backless embroidered shoes absolutely stunning? I would thoroughly recommed checking out Zaful.com for any of your summer wardrobe pieces, especially if you have any festivals or holidays lined up. Head over there quickly as they are currently having an Easter sale in which some items are up to 90% off! Bargain right? Plenty of money left over for a summer full of pimms and prosecco whilst looking fabulous. What's your favourite item from my wish list? What will be your staple fashion item this summer? This post is a collaboration with Zaful, but the items were chosen by myself and all my opinions are my own. I know this online shop and I really like it :) today I was at the beach and it was so hot!! Summer is almost here.